Breathexperience Canada is a partnership of four life-long friends and colleagues, who are committed to bringing Breathexperience to Canada and the world. Our journey in Breathexperience began with Alisa’s quest to find how her life could have more aliveness, joy and ease (and benefit her students too). A close friend told her about her experience at the Middendorf Institute for Breathexperience, in Berkeley CA., with Juerg Roffler, and the penny dropped. Next thing she knew, she had booked a flight, attended a workshop and committed to a 3½ year certification programme, all in one weekend. She has never looked back. Alisa opened the doors of The Breath Space, in Vancouver B.C., in 2011. Very soon after Alisa began her journey, her friends – Gayle, Valerie and Linda – noticed a transformation. She was, well, more Alisa – unreservedly and happily. Who wouldn’t want some of that? And so began the Breathexperience journey for the other three friends. Valerie, Linda and Gayle were certified as Breathexperience practitioners in 2013. This practice has become the foundation for each of their professional disciplines – opera, film, theatre and business. The four friends have a common vision – to make this life-altering work available to all those who seek to enliven and expand their relationships to themselves, other people and the world. They formed Breathexperience Canada in 2016 and regularly collaborate with their teacher, Juerg Roffler, to make this vision a reality. Alisa Kort’s career has crossed many boundaries and disciplines as a singer, actress, director, teacher and coach. 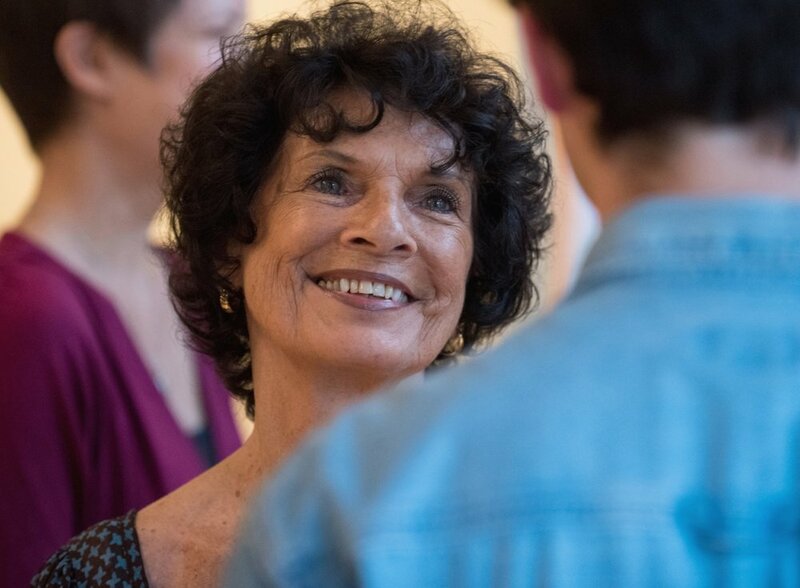 She has developed a deep understanding of physical and vocal communication and the ability to help actors, singers and indeed anyone, express themselves freely. Alisa had a busy performing career for 30 years, performing extensively in concert, theatre, opera and musical theatre across Canada. She also has created, directed and performed many concerts, revues and cabaret presentations. From 1995 – 1999 she led communication courses for the Amsterdam based company Executive Performance Training. A member of the acting faculty of The Vancouver Film School since 1999, Alisa has developed a curriculum that teaches actors to sing through extended voice, body and breathwork, integrating the disciplines of singing and acting. “All of us are leaders in our lives. We each have a unique capacity to contribute to those around us. The foundation for leadership presence is built on the simple act of being aware of, and allowing, our own breath. This simple shift of attention gives access to calm, clear thought, creativity, physical and vocal expressiveness, personal power and authentic connection. Breathexperience offers that foundation”. Valerie had a 30 year career as a professional classical singer, having performed opera, concert, and musical theatre in Canada, the U.S. and Europe. She was a founding member, with Linda Marie, of 3Divas. Since 1989, Valerie has drawn upon her experience and training as a professional performer to help business professionals express the most powerful, visionary and inspiring aspects of themselves as public speakers, leaders and human beings. She began her coaching career as partner in the Amsterdam based company, Executive Performance Training. She formed her consulting practice, Stand & Deliver, in 2005. Valerie trains and coaches executives in Canada, the U.S., Europe and Australia. For three decades, Gayle has specialized in the Speaking Voice for actors, professional speakers and people of all walks of life. Gayle is an Associate Professor of Voice and Speech in the BFA Acting Program at the University of British Columbia. She has also taught at Simon Fraser University’s School for the Contemporary Arts, the Vancouver Playhouse Theatre Acting School and Langara College’s Studio 58. Prior to specializing in Voice, she made her living as a professional actor. 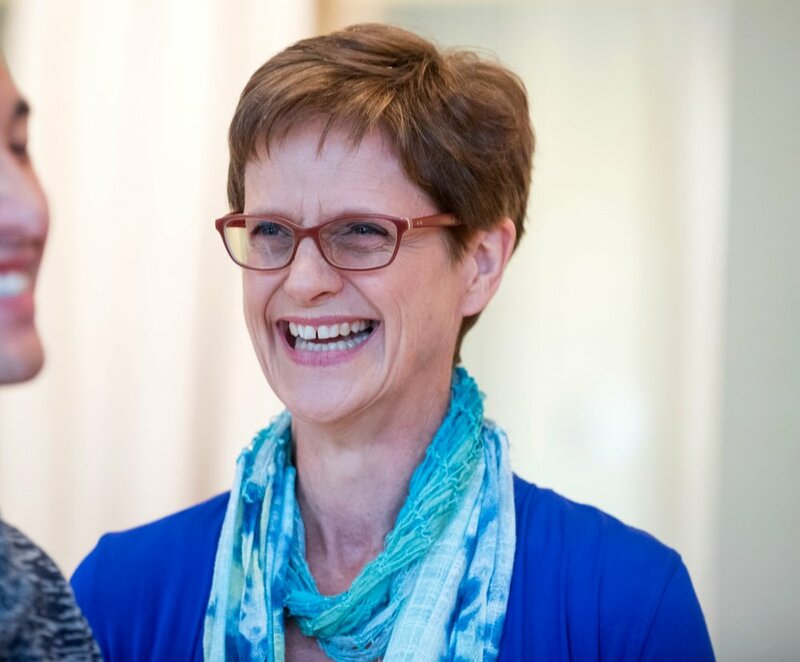 Gayle has led voice workshops across Canada, Bangkok and Hong Kong. Since 1997, she has been on the faculty of Canada’s National Voice Intensive, a renowned workshop of voice and the acting of Shakespeare’s text. Linda Marie is an opera singer and vocal teacher who brings her expertise of the operatic stage to her teachings. Her own operatic career began at the Vancouver Opera and has taken her across Canada, the U.S. and throughout Europe. A versatile artist, Linda Marie has performed as a featured soloist with symphony orchestras in Canada and Europe in concerts, oratorios and television broadcasts. As the founder of the 3DIVAS, Linda Marie performed with the 3DIVAS for 10 years in concerts throughout British Columbia and the U.S. on national television and radio. She is the President of the Board of Burnaby Lyric Opera and producer of Burnaby Lyric Opera’s mainstage opera productions and concert series. 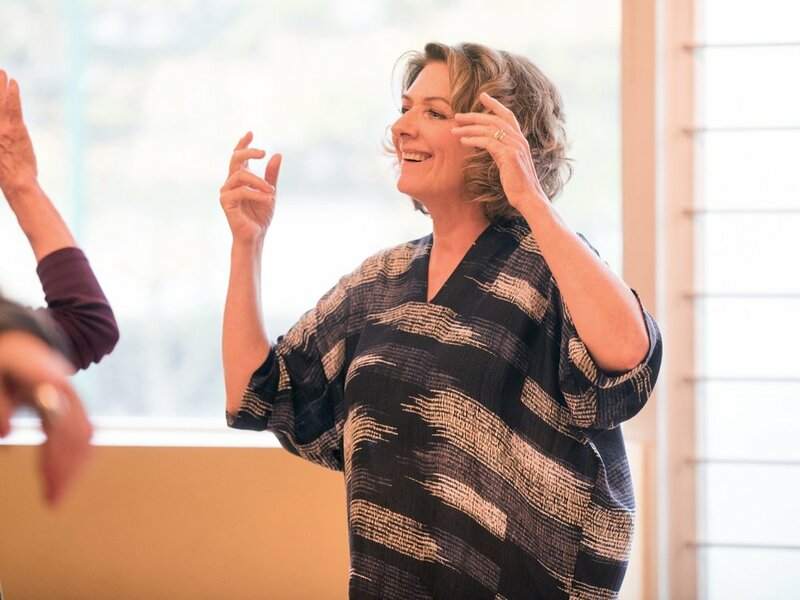 In addition to maintaining a thriving practice as a singing teacher, Linda Marie teaches “Breath into Singing” and holds “Breath into Singing” Masterclasses throughout the year. Juerg Roffler trained with Professor Ilse Middendorf at her Institute in Berlin and was a close associate until her death in 2009. He taught there for many years before coming to the U.S. in 1991. 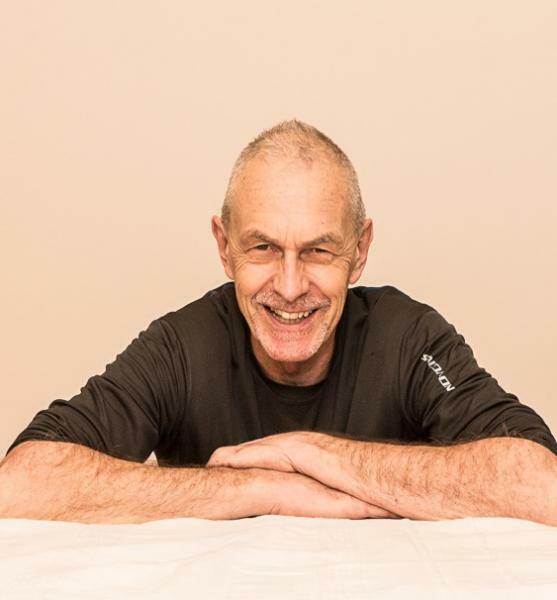 Juerg is the founder of the Middendorf Institute for Breathexperience San Francisco, now Breathexperience Berkeley, and he is also on the teaching teams of Breathexperience Canada,in Vancouver, Breathexperience Berlin and the Institut Atem Bewegung Therapie in Zurich, Switzerland. Juerg has taught Breathexperience for more than four decades. He has expanded the practice by developing Breathexperience in Relationship, the Breathmoves Project and Breathexperience in the Performing Arts. He has been a guest teacher at CIIS – the California Institute of Integral Studies, JFK University San Francisco, and the Holistic Health Department of San Francisco State University. Juerg’s Breathmoves performances have been presented at the Berkeley Art Museum, Kunstmuseum Ludwigshafen, the Berlin Palace of Charlottenburg, Old Oakland Train Station, Tempelhof Airport Berlin, and other venues.